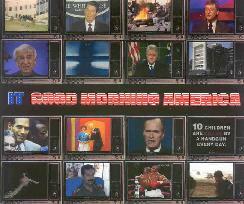 IT - "Good Morning America" / "Space Cadet" / "Stranded"
Attention all Porcupine Tree fans! Step right this way. Have I got a band for you. From the UK, IT is a project led by a gentleman named Nick Jackson who has taken an obvious passion for Porcupine Tree and Pink Floyd and created some excellent songs to tickle the fancy of fans of those bands. I think their first full length CD was only recently released, but what we have here are three CD singles totalling five songs. "Good Morning America" opens with saxophone and vocal harmonies, but quickly moves into the main portion of the song which is a dead ringer for Porcupine Tree's Sky Moves Sideways. But there are some killer psych rockin sections and all sorts of samples from American news and talk shows. "Watching The Screen" is a decent song with progressive rock and psychedelic influences. There's also a video on the disc but my computer wouldn't play it. In fact, I read on their web site that the band include lots of video and multimedia into their shows so the IT live experience must be an interesting one. "Space Cadet" is one of the highlight tracks and features more of that Sky Moves Sideways sound. I hear Pink Floyd as well, though IT give the music more of a psych-funky sound at times. 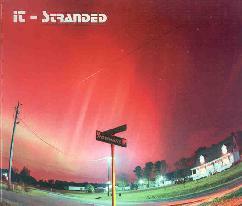 "Stranded" is another excellent song, once again drawing on their influences, complete with a "Great Gig In The Sky" styled Dark Side Of The Moon vocal bit. But there's some great guitar and trippy space synths too. And "Strange Reply" is an enjoyable floating acoustic song. In summary, IT will certainly be labeled a clone band by some. I found it impossible to describe these songs without continually mentioning Porcupine Tree and Pink Floyd. But to their credit, IT are excellent songwriters, the playing and production are spot on, and there's lots of tasty guitar and space synths to kick up the cosmic factor. So I'll give them a hearty thumbs up while still hoping to hear them establish more of their own identity. For more information you can visit the IT web site at: http://www.spacehouse.tv. Contact via snail mail c/o Nick Jackson; 32 Hutton Lane; Harrow Weald; Harrow; Middlesex; HA3 6RD; England.